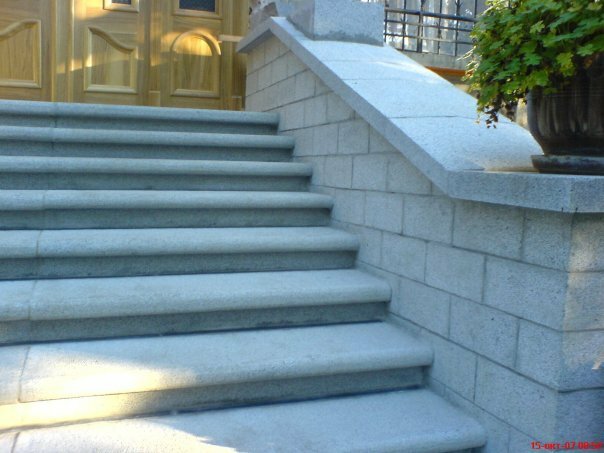 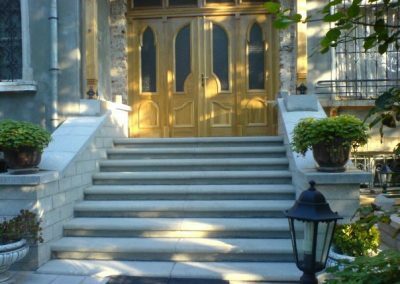 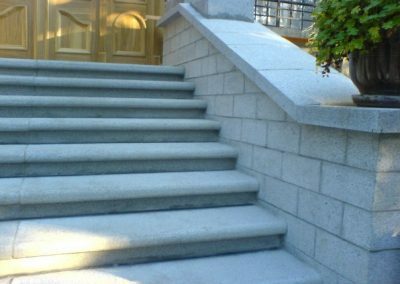 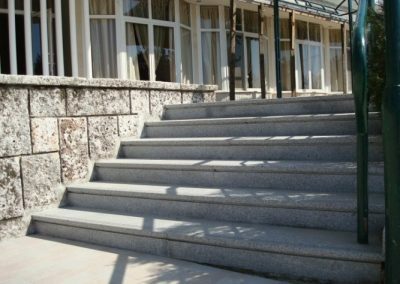 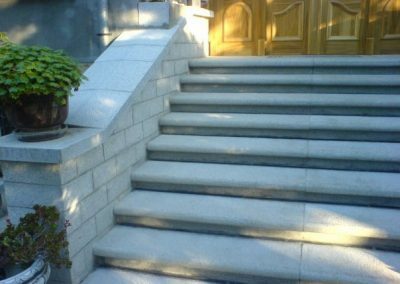 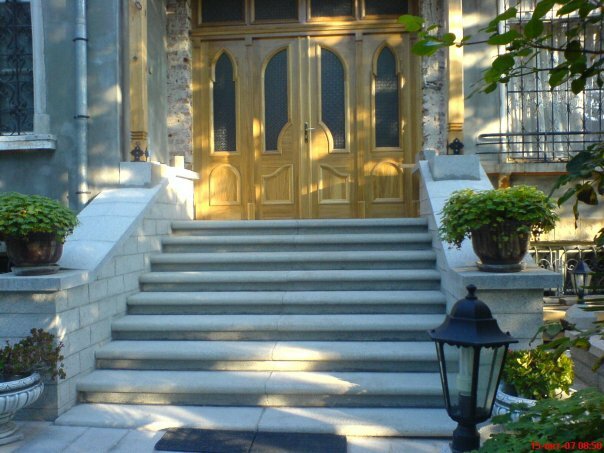 For pedestrian subways, different types of stairs and pedestrian zones, for shaping of city and church squares, school entrances and public buildings, house building, garden shaping and design. 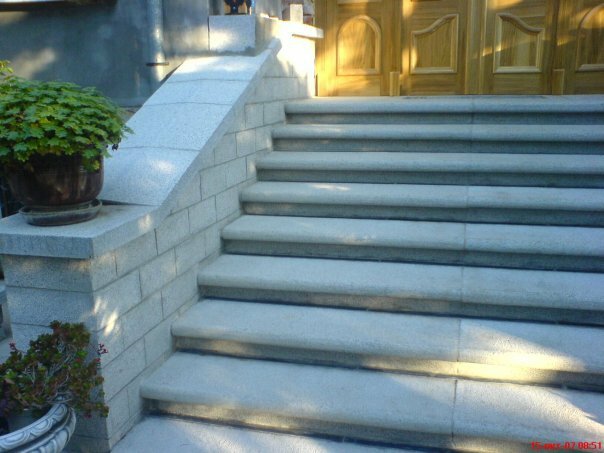 The block steps have a right-angled profile, the cotter steps have an almost triangle profile, in most cases with a supporting rabbet and a slipping phase. 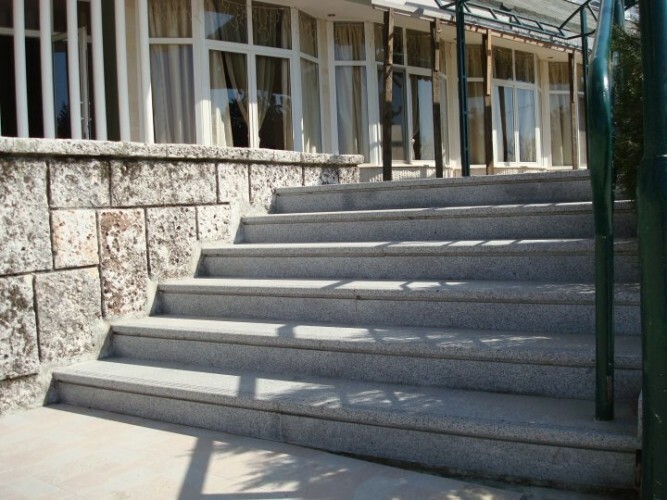 Processing of the area includes step and vertical areas, too – bush-hammered, jumpered or sand-streamed. 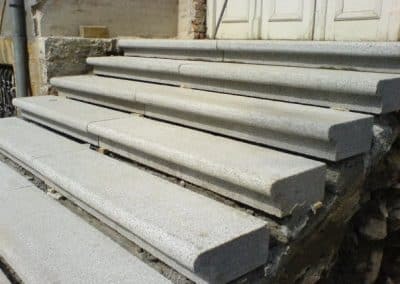 Profiles of the vertical area (for example, jumpered, flat profile, rounded stick or rabbet) can be produced by wish (if ordered). 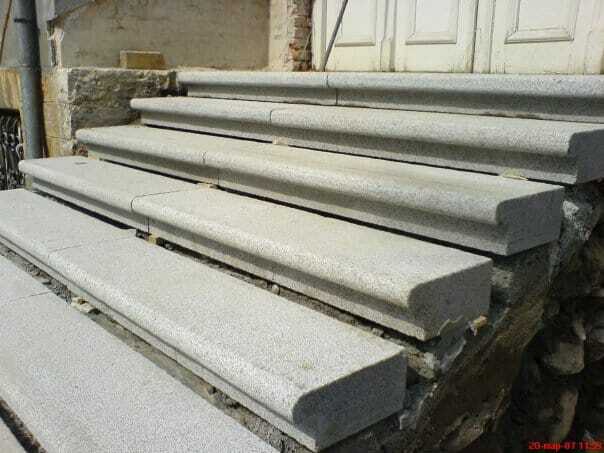 Produced in a bent shape or in an arc shape.